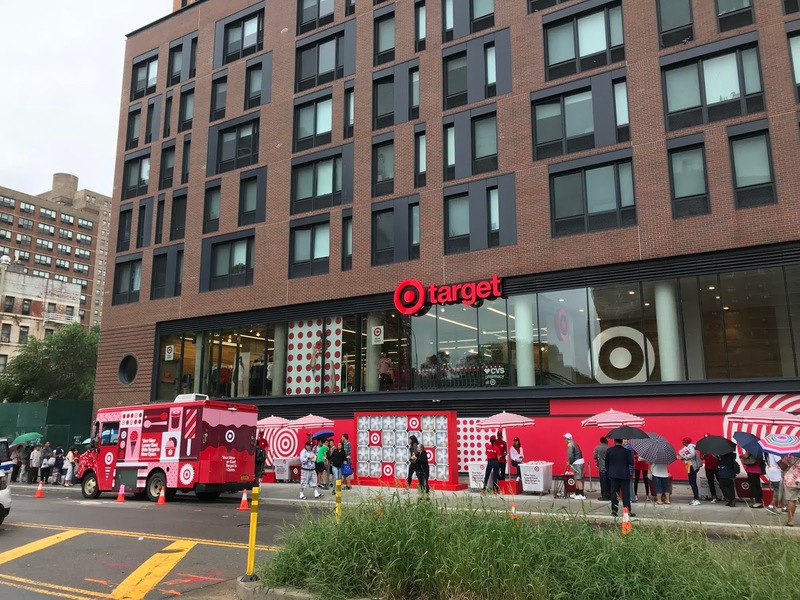 Targeters are handing out a variety of freebies ... and there are photo opps with a giant pair of red Target sunglasses. 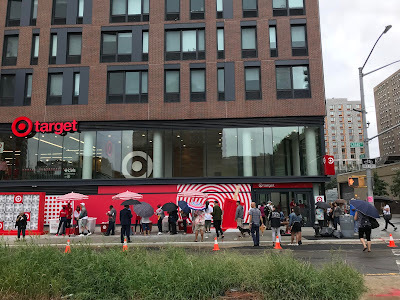 Not to be found: An homage to the Lower East Side with a CBGB-themed TRGT storefront, which was the widely panned centerpiece of the grand opening on 14th Street and Avenue A last month. The Target is one of the retail tenants in the 15-story development at Essex Crossing Site 5 — aka The Rollins. A Trader Joe's is set to open in this complex later in the fall. A "Lydia Lunchbox" would actually be clever and a very hip reference--i.e. 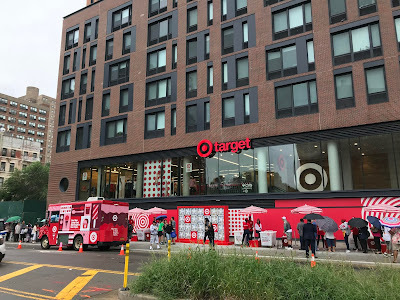 the complete opposite of what Target deals in. Target's actual idea of clever is like, a sign that says "Battle of the Bands!" underneath which Target employees hand out bandannas, and adhesive bandages. Write and call the City Council and the Speaker. Tell them you don't want to bring your tax dollars to a city that's full of nothing but chain stores and luxury glass towers. Tell them to pass the SBJSA. If you've been complaining about the vanishing of NY, now is your chance to change things for the better. At this point, you really have no excuse. If you do nothing, then quit complaining.